A whopping number of 13F filings filed with U.S. Securities and Exchange Commission has been processed by Insider Monkey so that individual investors can look at the overall hedge fund sentiment towards the stocks included in their watchlists. 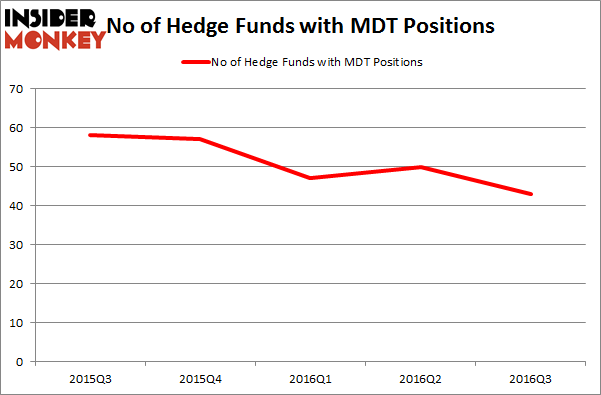 These freshly-submitted public filings disclose money managers’ equity positions as of the end of the three-month period that ended September 30, so let’s proceed with the discussion of the hedge fund sentiment on Medtronic PLC (NYSE:MDT). Medtronic PLC (NYSE:MDT) investors should be aware of a decrease in enthusiasm from smart money of late. At the end of this article we will also compare MDT to other stocks including Intel Corporation (NASDAQ:INTC), Toyota Motor Corporation (ADR) (NYSE:TM), and PepsiCo, Inc. (NYSE:PEP) to get a better sense of its popularity. With all of this in mind, we’re going to take a peek at the recent action regarding Medtronic PLC (NYSE:MDT). What have hedge funds been doing with Medtronic PLC (NYSE:MDT)? Heading into the fourth quarter of 2016, a total of 43 of the hedge funds tracked by Insider Monkey held long positions in this stock, a drop of 14% from the previous quarter. With the smart money’s positions undergoing their usual ebb and flow, there exists a select group of noteworthy hedge fund managers who were upping their holdings meaningfully (or already accumulated large positions). 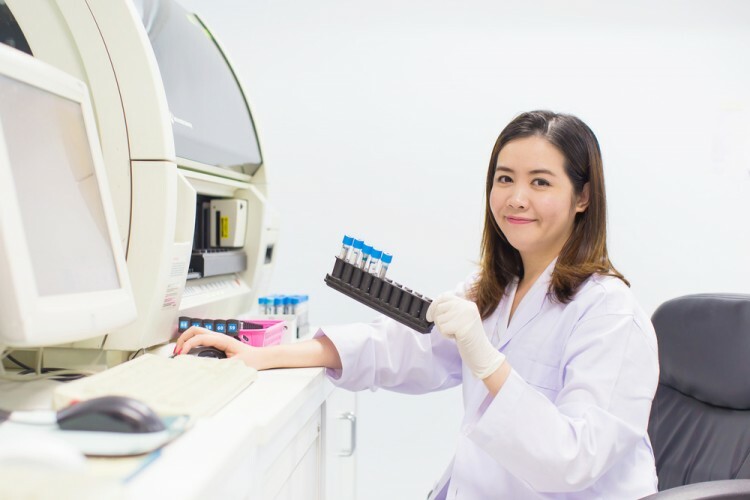 Of the funds tracked by Insider Monkey, Arrowstreet Capital, managed by Peter Rathjens, Bruce Clarke and John Campbell, holds the biggest position in Medtronic PLC (NYSE:MDT). Arrowstreet Capital has a $219.7 million position in the stock, comprising 0.7% of its 13F portfolio. The second most bullish fund manager is Ric Dillon of Diamond Hill Capital, with a $206.1 million position; 1.3% of its 13F portfolio is allocated to the company. Other peers that are bullish consist of Phill Gross and Robert Atchinson’s Adage Capital Management, Brian Ashford-Russell and Tim Woolley’s Polar Capital and Paul Marshall and Ian Wace’s Marshall Wace LLP. Investors Are Going Crazy for EOG Resources Inc (EOG) Hedge Funds Like What Panera Bread Co (PNRA) Is Cooking Up Is The Ceiling About to Fall On Beacon Roofing Supply, Inc. (BECN)? Bill Miller Likes Buffett’s Timing On Airlines, Talks Valeant (VRX)&#... Fir Tree Goes Big on Tech, Consumer Stocks in Q3: Hewlett Packard (HPE), TiVo... Is The Dow Chemical Company (DOW) A Good Stock To Buy?